If you have any questions about the GREENPEACE information page below please contact us. This motor yacht GREENPEACE is a 58 m 191 (foot) impressive steel boat which was fashioned by Smit J & K and conceived by J & K Smit. The sizeable converted private yacht GREENPEACE is a very cleverly designed Dutch made superyacht which was launched to completion in 1959. 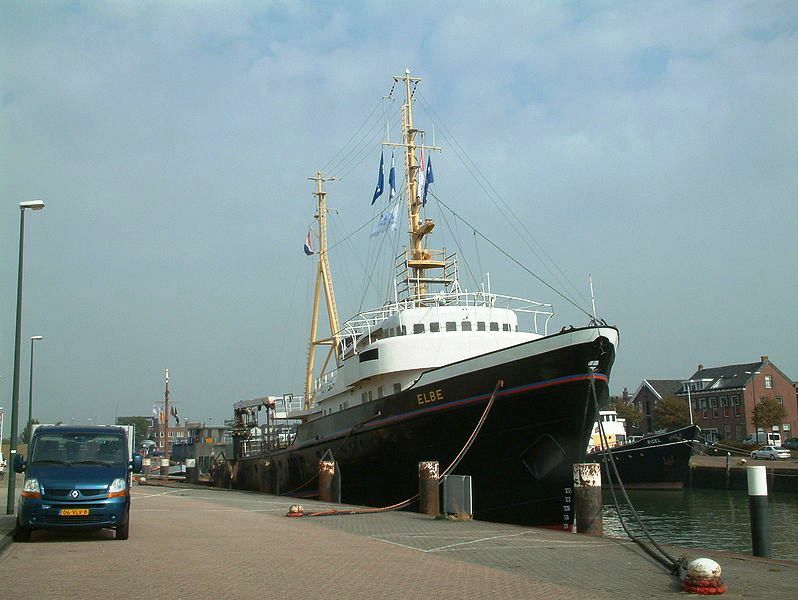 Accommodating 37 guests and 15 crew members, motor yacht GREENPEACE was named 867 Elbe; Maryland; Gondwana. The naval architect whom authored her design details for this ship is J. & K. Smit. She is a classic converted private yacht. J & K Smit was the naval architecture company involved in the technical vessel composition for GREENPEACE. J & K Smit is also associated with the yacht general design work for this yacht. 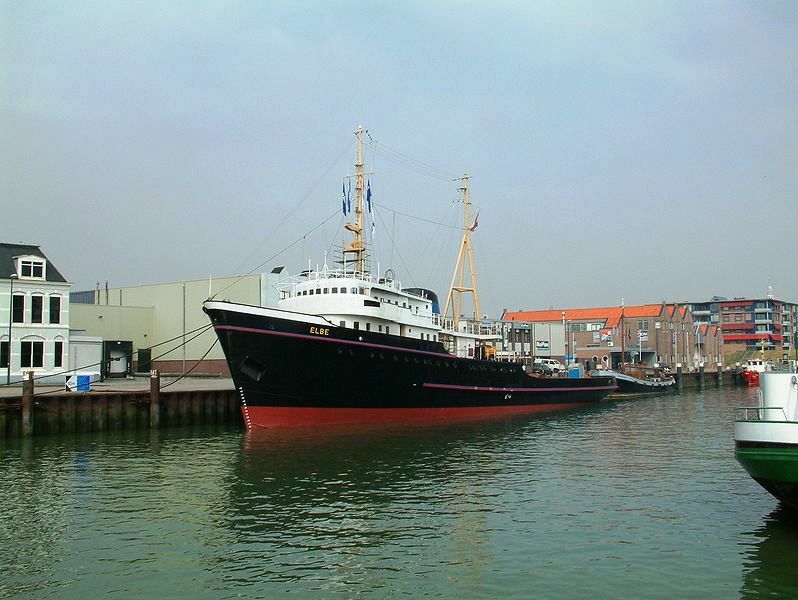 In 1959 she was actually launched to triumph in Kinderdijk and post sea trials and finishing touches was afterwards delivered to the new owner. Smit J & K completed their new build motor yacht in the Netherlands. Her main hull was crafted from steel. The motor yacht main superstructure is fabricated for the most part with steel. With a width of 11.22 m or 36.8 ft GREENPEACE has fairly large interior. A fairly 8.9 (29.2 ft) draught of 8.9m (29.2ft) selects the list of harbours she can visit, depending on their particular characteristics. She had refit improvement and changes carried out by 1987. Installed with twin SMIT-MAN diesel engines, GREENPEACE will attain a maximum speed of 14 knots. She is driven by a single screw propeller. She also has an economical range of 18500 nautical miles whilst sailing at her cruising speed of 10 knots. Her total HP is 3160 HP and her total Kilowatts are 2325. The substantial luxury yacht motor yacht GREENPEACE can accommodate up to 37 passengers in addition to 15 professional crew. 58.1 metres / 190.6 feet. Total engine power output 3160 HP /2325 KW. 18500 at a speed of 10 knots. 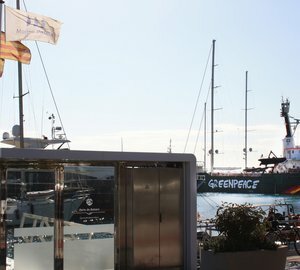 The luxury yacht GREENPEACE displayed on this page is merely informational and she is not necessarily available for yacht charter or for sale, nor is she represented or marketed in anyway by CharterWorld. This web page and the superyacht information contained herein is not contractual. All yacht specifications and informations are displayed in good faith but CharterWorld does not warrant or assume any legal liability or responsibility for the current accuracy, completeness, validity, or usefulness of any superyacht information and/or images displayed. All boat information is subject to change without prior notice and may not be current.